Do you dream of owning your own salon? Or perhaps you just want to manage someone else's salon? Either way, by pursuing your bachelor's degree in this field of study you will be learning the skills and knowledge necessary for you to enter the work force as a salon manager. Keep in mind, before you can begin working towards your bachelor's degree in salon management you must first obtain your high school diploma, or the equivalent. Depending upon the school you choose to attend, you may also be required to submit copies of your transcript showing that you were in good academic standing, a copy of your ACT scores, and letters of recommendation to gain admittance into a degree program. However, regardless of which learning institution you choose you will be learning all of the aspects necessary to successfully operate a business. For instance, you will learn about human resources, finances, information systems, marketing, accounting, and production. While most schools do not offer a Bachelor's degree in salon management, individuals who want to become a salon manager should pursue their Bachelor of Science degree in business management. With your bachelor's degree in a field related to salon management you will be able to seek employment as a spa director, a salon manager, a hair salon manager, or a spa manager. 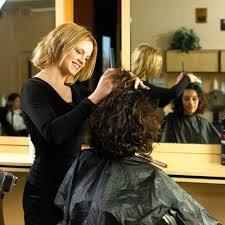 In your job capacity as a salon manager you will work to maintain a salon as efficiently as possible. This will include daily tasks such as creating work schedules for employees, handling customer service, overseeing personnel in a variety of aspects, hiring and firing employees, examining work stations to ensure that proper hygiene policies are being followed, and conducting employee training when necessary. Depending upon your employer you may also be responsible for bookkeeping, record keeping in reference to employees, promotions, and advertising campaigns. While some employers may not require their salon managers to have a Bachelor's degree, obtaining such a degree will definitely be in your best career interest. Your degree will demonstrate that you have the ability to work successfully with the required technology and software and that you are likely able to adapt to changes and trends in the work place. Your degree will also show potential employers that you are well versed and knowledgeable in the field and that you can multi task and accomplish necessary responsibilities. It will be important that you consistently present yourself in a professional manner, while showing that you have the proper skills to manage a business. This career area is definitely an area that is in growing demand. In today's society it is common for individuals to own more than one establishment related to their business. This makes it necessary for owners to secure salon managers that they know will handle their business like it was their own. Furthermore, business owners want individuals who are trustworthy, dependable, and personable to the existing clientele and who can work to continue to increase the business' clientele. If your dream is to manage a first class salon and become a manager then you’ll need to first start with a first-class education. Don’t just enroll in any school; find one that will help you reach your career goals. Business Courses: Find a school that offers business related courses as part of your Bachelor’s degree. These business courses are what you’ll need in order to help the salon you manage in areas of: finance, accounting, marketing, management and human relations. Cosmetology: Does the degree program offer additional elective courses in cosmetology? If you aren’t already a cosmetologist then it is advised that you take some courses to better familiarize yourself with the industry. Accreditation: Make sure that the school you are attending is fully accredited by the Department of Education. The school can be either nationally or regionally accredited but realize that if it is only nationally accredited then transferring the credits you earn might be harder if you ever decide to go to another school. Here are some of the top traits and qualities all salon owners have in order to be successful. Entrepreneur – Business owners have one thing in common and that they don’t’ want to work for someone else but are always looking for an opportunity to own their own business and make money for themselves. Having an entrepreneur mindset will go a long way as you build your salon. Long Hours – I wish you could be successful without hard work but the truth is you’ll need to put in long work hours as a business owner. As an owner you’ll probably be the first one in and the last one to leave at night until you can hire a manager you can trust with the same vision and determination as you. Passion – Do you love the salon industry and have a real passion to make it as a business owner or salon manager? One of the main traits that almost all managers have is passion and a drive to succeed no matter what the cost. Profit Driven – Owning your own business is stressful and you’ll need a business discipline that is focused around profitability. Salons can easily go under without the proper management and financial stability. According to Glassdoor the average salary for a salon manager is $39,929. Areas in California and New York are typically 10-20% higher. Bonuses are typically given based on revenue goals that can be as high at $5156. The industry is expected to grow by 10% over the next 8 years.